Mediterranean eatery Cava is opening in Rittenhouse this week. 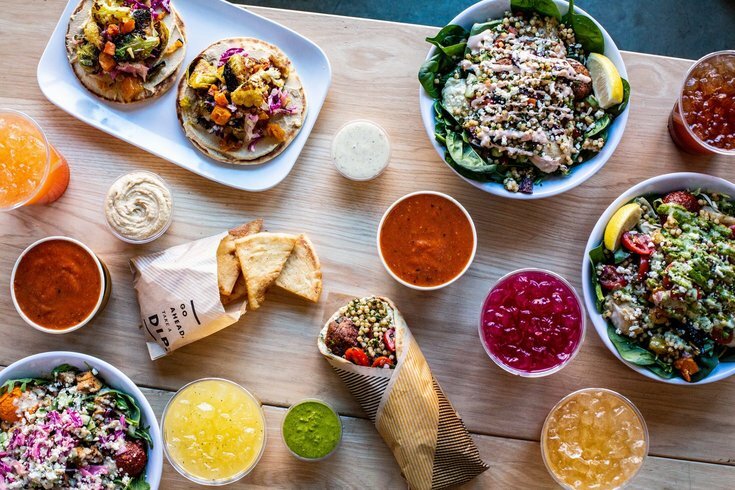 The fast-casual restaurant specializes in customizable grain bowls, pitas and salads, and also offers soups and juices. It will officially open Thursday at 1713 Chestnut Street. The day before will be "Community Day" at the new Center City lunch spot. On Wednesday, from 10:45 a.m. to 1 p.m. head to Cava to grab free lunch, or stop by between 5 to 7 p.m. for free dinner. Check out the eatery's menu here. Also, Cava will take donations during the day to benefit The Food Trust, a local nonprofit. Cava has locations nationwide, but the Philly-area eatery is the first in Pennsylvania. There are also plans for another to open in Ardmore's Suburban Square this year. Free lunch: 10:45 a.m. to 1 p.m.
Free dinner: 5 to 7 p.m.